22 acres (+or-) of prime industrial zoned land with railroad access potential. Currently, there is not a railroad spur. 1,675 feet of frontage along Boyd Lake Road. Located 1.5 miles west of I-25 with easy direct access to I-25 via Crossroads Blvd. or Hwy. 34, which is approximately 2 miles south of property. Close to Northern Colorado Regional Airport. All utilities are to the property line. Driving Directions: From Hwy. 34, go north on Boyd Lake Road for approximately 2 miles. Property is on the left. 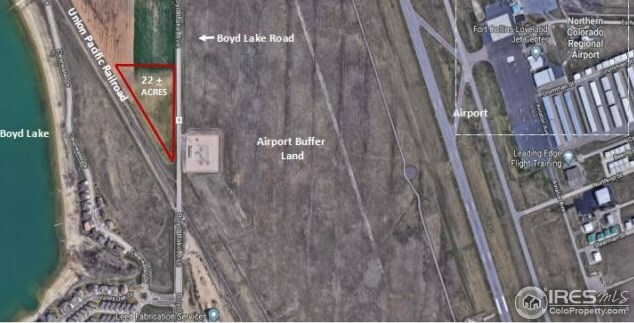 0 Boyd Lake Rd, Loveland, CO 80538 (MLS# 841497) is a Lots/Land property with a lot size of 22.00 acres. 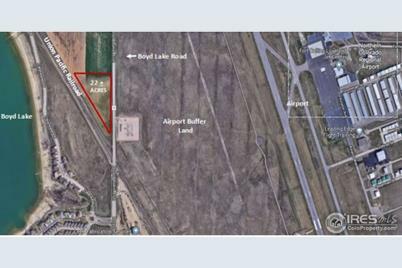 0 Boyd Lake Rd is currently listed for $2,731,000 and was received on February 11, 2018. Want to learn more about 0 Boyd Lake Rd? Do you have questions about finding other Lots/Land real estate for sale in Loveland? You can browse all Loveland real estate or contact a Coldwell Banker agent to request more information.